Australia are keeping the champagne on ice, according to coach Ange Postecoglou, despite the Socceroos securing a place in the final of the AFC Asian Cup Australia 2015 with a 2-0 win over the United Arab Emirates in Tuesday’s semi-final. THE unpredictability of the Socceroos’ attack looms as one of their biggest strengths entering Saturday night’s Asian Cup final against South Korea. Defenders Trent Sainsbury and Jason Davidson brought the number of individual Australian goal scorers in the Asian Cup to 10 in a 2-0 win against UAE on Tuesday night. It’s extraordinary diversity in just five games and is sure to cause the South Korean team headaches in the build-up. 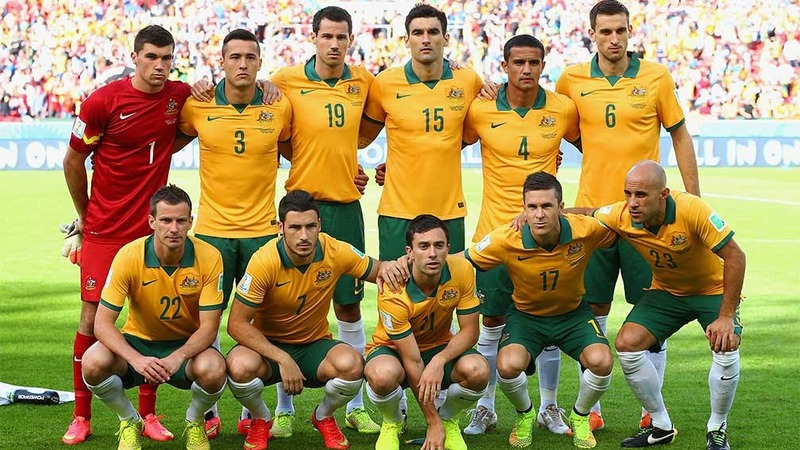 Sainsbury and Davidson joined Tim Cahill (three), Massimo Luongo, Robbie Kruse, James Troisi, Mark Milligan, Mile Jedinak and Matt McKay in finding the back of the net in this Asian Cup. And their goals — scored inside the first 15 minutes of the game — proved enough as the home side held firm in a dour second half. “It feels unbelievable, especially to do it on home soil,” Davidson said. “The aim was to score as quickly as possible. Postecoglou suggested his team was reaping the benefits of blooding youngsters like Sainsbury and Davidson in friendly games over the past two years. “Those kind of players are developing for us now. They’ve had exposure to international football,” he said. But as the Socceroos eye the ultimate glory on Saturday, forward Robbie Kruse indicated they could improve on their performance against the UAE in Newcastle. “We’re in the final, that’s what we set out to do,” Kruse said..
“It wasn’t the best performance... but sometimes in semi-finals you just have to grind out a victory.